Are you planning an important celebration...maybe even your wedding? Do you want your celebration to be elegant and tasteful, yet still be a fun and memorable time for your guests? Have you ever attended a wedding where people left early because the entertainment was poor or even inappropriate? Or one where the confusion and lack of organization overshadowed the attention that should have belonged to the happy couple? Do you want to make certain that none of these things happen to your wedding? Do you want your wedding celebration to be unique and personalized to meet your needs and tastes, instead of the same old "cookie-cutter" celebration? Are you hoping to find the peace of mind that will enable you to relax and enjoy a day that you have planned for and dreamed of for so long? We are North Carolina’s most experienced professional disc jockey service. Want to know about our approach to making your wedding day amazing? Want to hear what our clients are saying? Wedding Professional Before Hiring Them"
Many of the most important celebrations in our lives happen only once. So you get only one chance to get it right. Then, for better or worse, those are the memories you have for a lifetime. We want every celebration to be SENSATIONAL. Experience, professionalism and award winning performers. When you first see all this, it might look expensive. Talk with us about your event. If you don't feel that we are the best fit for your needs or budget, we will cheerfully refer you to a legitimate ethically run service that might better suit your needs. Over the past 34 years, A & A Disc Jockey Service has become the number one source for trained, professional Disc Jockeys, Master of Ceremonies, Event Coordinators and Party Motivators throughout the southeast. We are based in Greensboro, North Carolina. However, because we offer unique services that are simply not available from the usual “cookie-cutter” DJ companies, we frequently travel to perform for discerning clients well beyond our local area. Our staff has thrilled audiences at celebrations as far north as Baltimore, Maryland and as far south as Orlando, Florida. We routinely travel throughout the Carolina’s, Southern Virginia, and Eastern Tennessee. Why choose A & A? 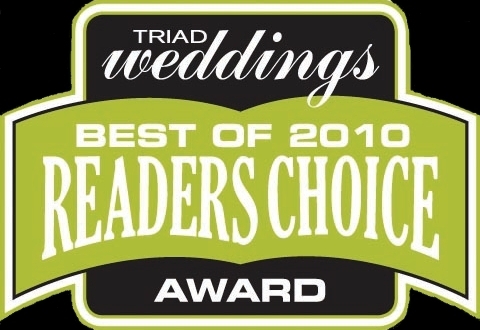 •Honesty: As members of the Triad Bridal Association we have taken a solemn pledge to be open and honest in our advertising and dealings with our clients about our qualifications, the services we offer and our professional affiliations. •Reliability: Some companies claim to fame is that no one has sued them or filed complaints against them with the Better Business Bureau. Our staff has actually won awards for what they do. Our goal isn't to satisfy our client’s minimal requirements. We want our clients to be thrilled with their events. 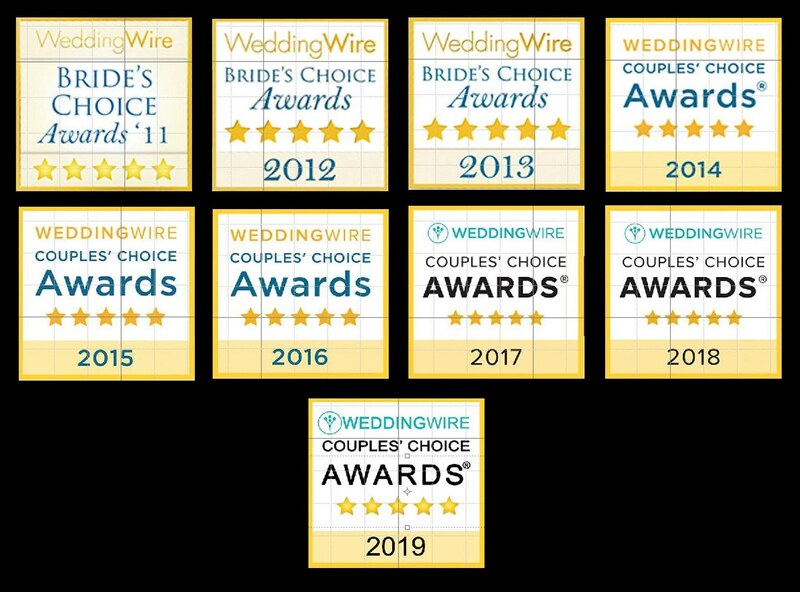 •Fun: We understand that a wedding can be fun and still remain elegant and respectful at the same time, and as true wedding professionals, we know how to make that happen. •Peace of Mind: To assure your satisfaction, we offer a money back guarantee. If you are working with another service and they have any confidence in what they do, they should be willing to do the same. •Choices: Our Standard Wedding Packages meet the needs of most couples and are comparable in price and service to those offered by other area companies. But if you need equipment and services that are far beyond the capabilities of most area companies, we do have higher level packages available. You get to choose. •Value: I am always amazed when we meet with clients and they tell me, “With your reputation and all the things you offer, I really didn’t think I could afford you.” Professionalism and experience sometimes look expensive, but I'm sure you don't mind if your guests think you spent a lot more to entertain them than you really did. Of course, we offer some options and extras to our clients that most other companies don’t. If couples want those extras they can have them. But 80% of our couples find all of their needs met with our Standard Wedding Packages. These packages include services that are comparable to those offered by many lesser companies at rates that, when you consider our reputation, are very competitive. And let’s face it, for those companies who are a little cheaper than us, if they thought that they were worth more, they would charge more. 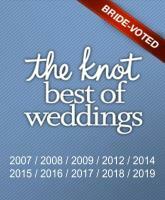 •Experienced Wedding Professionals: Our wedding professionals specialize in weddings; not bars, billiard halls or night clubs. They understand that this is a family oriented event. They have the latest releases the moment they come out on the local radio stations, but they also know that you will have guests there who are from 2 to 82 and that not everyone wants to dance to the latest hip hop music. They are familiar with music ranging from the roaring 20’s and big band music of the 40’s, right up to and including the most current dance music being played on mainstream radio stations. Then YOU get to choose what actually gets played based upon your needs and tastes. •Quality over quantity: Some companies claim to have done as many as 500 weddings last year or more. Considering that everyone in the wedding industry knows there are some months when there are few if any weddings at all, that means the company is averaging 12-15 weddings a week. They keep their business afloat by mass producing cookie cutter wedding celebrations. This might be exactly what some couples are looking for. But many others realize how important this day is and want a celebration that is uniquely their own. Assuming that their claims are true and not just hyped up advertising, they can’t possibly give the personal attention that many brides expect when planning their weddings. We maintain a small staff of trained, highly skilled and experienced professionals. We want every one of our brides to feel comfortable that they are in good hands. Within days you see the local barber with a sign in his window that reads, “We fix $6.00 haircuts.” There is no fix for a wedding reception, or any celebration for that matter, that has inadequate or inappropriate entertainment. 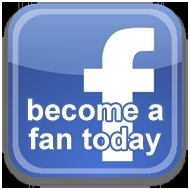 Please feel free to look over our site. We hope that it will provide valuable guidance and information as you plan your event. But we encourage you to call our offices so that we can discuss your event in more detail and even offer you a free, no obligation consultation to fully assess your needs. About our site: We have tried to design our new on-line presence in a way that allows those looking for only basic information, to find it quickly. But we have additional links so that those who are accustomed to doing more in depth research before making such an important decision can have that opportunity here. If you have any comments or suggestions to help us improve your browsing experience, please let us know.